Could this be the solution to America’s drug problem? – Life is good. As I’ve discussed in an earlier post, the war on drugs here in America has been a colossal failure. The statistics don’t lie: it has caused a massive increase in prison populations, an increase in drug cartel activity, destroyed families, and has led to a skyrocket in drug violence. We should end the war on drugs, of course, but I want to take it one step further. What if there was an alternative that would allow for an increase in treatment and productivity among addicts, reduce violence, and help reduce the negative side effects of drug use? Sounds like a dream in heaven, but it’s not. It’s a tried and true method, employed in multiple European countries. It’s called harm reduction. Harm reduction is a more humanitarian and helpful approach to drug problems. It involves government programs that help drug addicts stabilize their addictions, find new housing, and deal with the problems within their lives. The government sets up centers where addicts can come in, receive clean, free needles under steady watch, receive medical attention, and get counselling from social workers to help with their problems. So obviously the policies work. 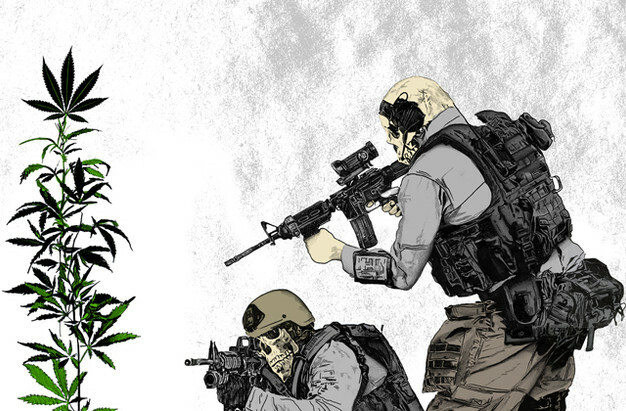 The war on drugs is nothing short of a failure. Rather than reduce violence it has made the situation worse than it was forty years ago. It’s time to end the war on drugs and replace our policies with harm reduction. It will heal the wounds that drug abuse has dealt and help those truly in need, leading to a future generation of health, peace, and higher productivity. Posted on June 29, 2017 by anthonymyrladosPosted in ArticleTagged Article, Daily things, Day to day, Discussion, Drug Legalization, Drugs, Life, Politics, Politics of the USA, Problems, Solution, War on Drugs. In my opinion, helping addicted is only a part of the problem. How to stop youth from entering the deadly circle? Some of those entering follow a family member, and maybe this is easier to prevent through the education. But many teenagers enter the circle because of influence of peers, who they see in school or outside the school. Teenagers tend to resist what adults (including their parents and teachers) tell them to do, and they would prefer to be accepted in their peers circle. They are also curious to try new things and be rebellious doing so. This is why one can see high school infested at high rates even in affluent neighborhoods where the general population is not involved. If adults learn about infestation at school they tend to cover up knowing that all these kids are planning to enter competitive colleges, so their resumes have to be pristine. When those kids eventually enter competitive colleges, they bring infestation with them. But it seems colleges are more resistant to infestation, simply because drugs prevent effective learning on the high level, so students need to curtail addiction or they fail in the college at some point. The solution, I believe, is to prevent the supply of drugs to underaged kids. The only solution I can see in doing this is legalizing all drugs, meaning that drug cartels will go out of business and the only suppliers left are legal suppliers. Furthermore, drugs are actually quite popular in college as well. Drugs like Ecstasy and common ADHD medication are used in colleges to make parties better and help with concentration, respectively. I’m interested to see some follow-up on whether or not there is any attempt in the U.S. government to try and make harm reduction happen, and if nobody is fighting for it, then why you believe this is the case? There is no attempt as of yet to move towards harm reduction. I never mentioned the government is trying to push for harm reduction, only that I think it should. I think many politicians share my opinion, but fear it would lose their support among Republicans, who are the largest supporters of the War on Drugs.